Kevin Smith has been busier than ever in his “retirement” from filmmaking. He conceived and directed the podcast-inspired Tusk in six months, and announced plans for a Book Of Mormon-style musical called Helena Handbag. 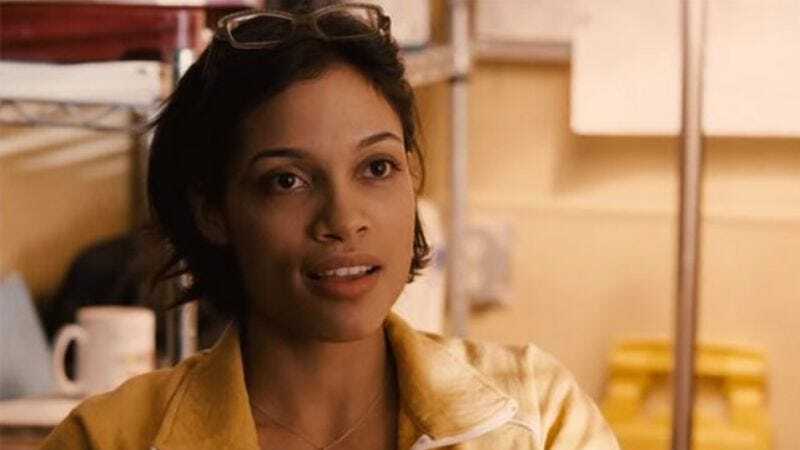 And now he's moving on to what he once hinted would be his final movie project: the third film in the improbably ever-expanding Clerks series, with Rosario Dawson recently confirming that her character, Becky, will be returning for the sequel. There’s no official start date for shooting, but Smith has said that he hopes to begin in May. Given the ending of Clerks II, it will presumably find Dante and Randal back at the Quick Stop as owners, but in debt to Jay and Silent Bob. Dawson’s character will also have a child with Dante, allowing for some parental anxiety humor, and surely Randal will spew a few self-aware barbs at The Hobbit for getting extended into a trilogy.